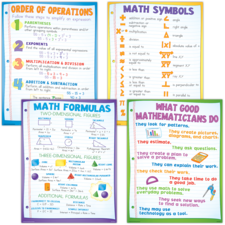 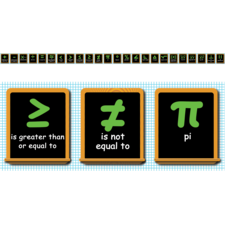 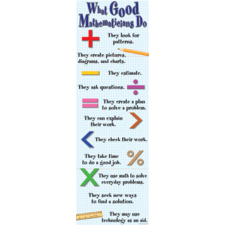 Add learning and color to your classroom with these posters featuring important terms and colorful illustrations. 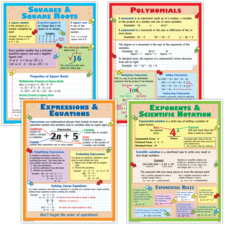 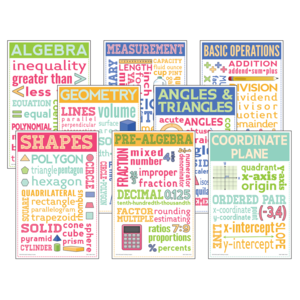 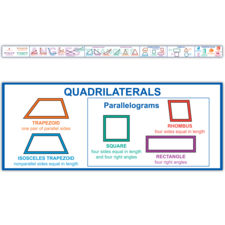 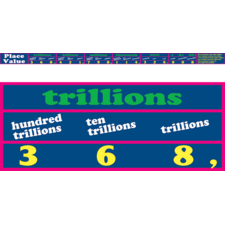 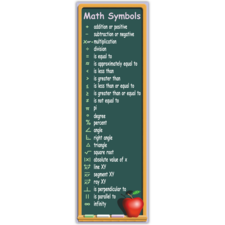 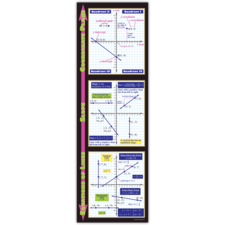 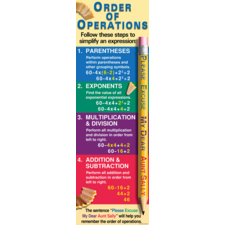 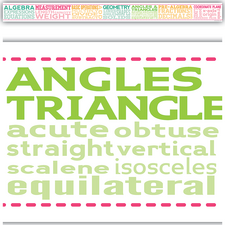 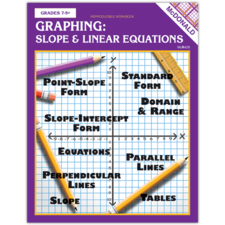 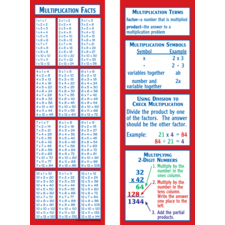 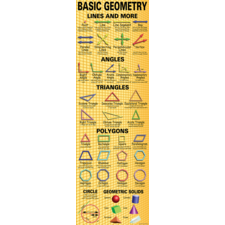 Includes shapes, basic operations, measurement, pre-algebra, algebra, geometry, angles & triangles, and the coordinate plane. 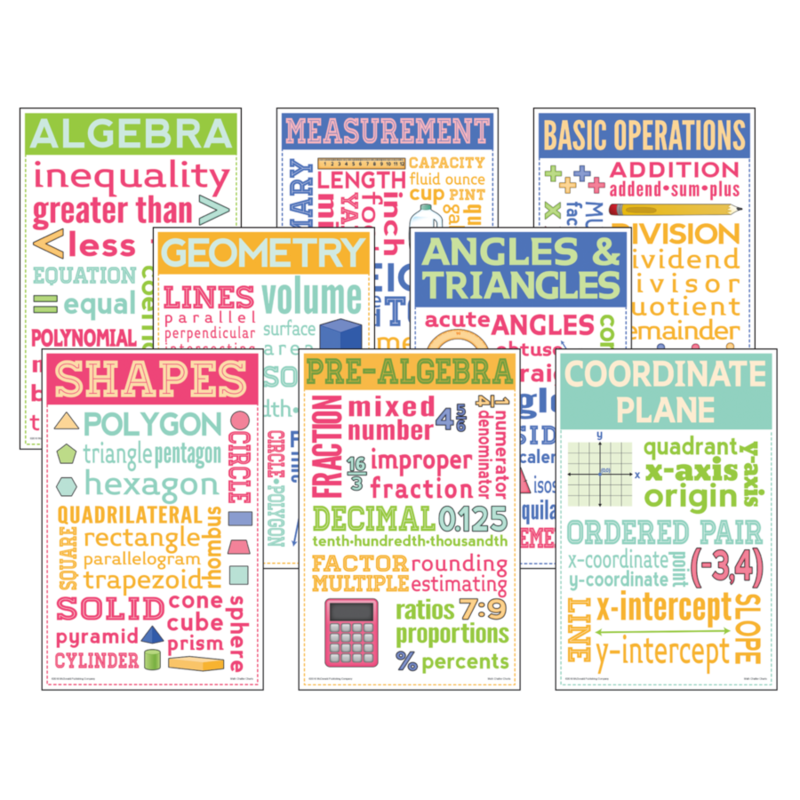 8 posters total. 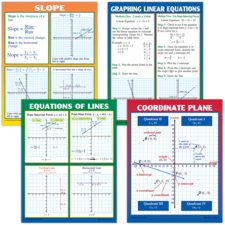 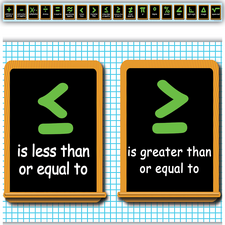 Each poster measures 11" x 17".